[UPDATE] DBSK lights up Meiji Shrine! 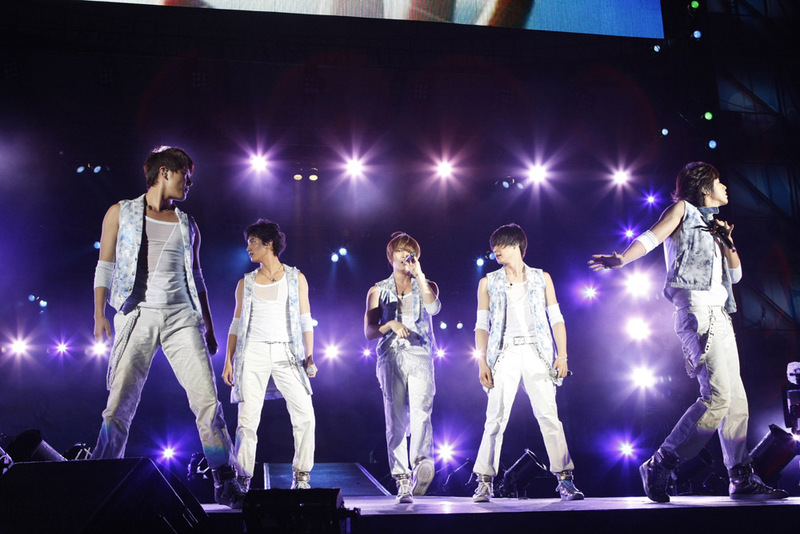 Despite the fuel going on with SME, DBSK still knows how to work their arses’ off. On 8/6, the boys put on a spectacular show displaying fireworks on a “Kokuritsukyougijou special stage” in the garden of Meiji Shrine. 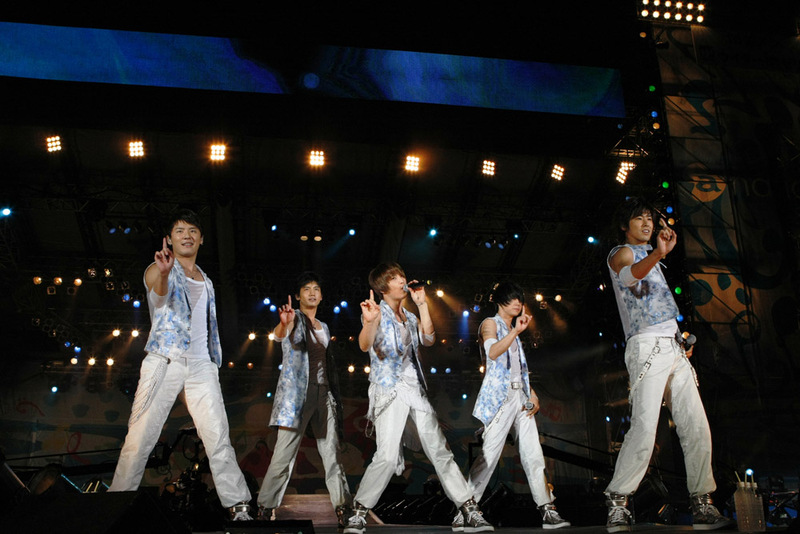 They performed 7 songs including their new one “Stand by U“. Even though the 3 members who are looking to re-“define” their contract with their company, SM Entertainment, showed up together as one to show that they are still going strong. Changmin spoke to the fans and said, “Even though today’s live will be cut short, I hope you all have a lot of fun. We will keep doing our best.” After that was said he received a lot of screams and a huge round of applause from the fans.